We are deeply saddened by the loss of Mike Sinno. Mike was a outstanding coach, friend and father. He will be deeply missed by all in the JCB Family. Below is the obituary provided by the family. Visitation is this Thursday, August 16th from 10:30am-11:30am at San Juan Del Rio. Mass of Christian Burial will immediately follow the visitation. At the request of Mike's family, Julington Creek Baseball has created a Memorial Fund on Mike's behalf. Michael Sinno, passed in peace on August 11 at the age of 45 due to heart failure. Mike was born March 16, 1973 and raised in Southwest Philadelphia. He served honorably in the Unites States Air Force where he met and then married his soul mate, Dana Heckman. As the COO at HCI, Mike was recognized as an industry leader. That same passion for excellence was visible out of the office where his family came first; followed close by baseball. Mike Sinno was the face of the JCB Thunder. He was the only coach to carry 6 assistant coaches. He was the only coach that thought another practice, game, or tournament was doable. Mike displayed many great qualities like consistency, organization, and patience and will be remembered most for a quietness which inspired confidence, motivation, and a desire to win. Coach Sinno’s family, friends, co-workers, and players will miss him greatly. He is survived by his loving wife Dana, two daughters Mia (16), Noelle (11), and son Luca (9), Father Michael Sinno and Step-Mother Debbie, Mother Edie Pavonarius, Sister Stefanie Sinno and her husband David Freese (Abigail and Calvin), Brother in law Chris Heckman, Sister in law Jill Heckman (Delaney and Cooper), and Brother in law Darren Heckman. Mass of Christian Burial will be held at 11:30am on Thursday, August 16th in San Juan Del Rio Catholic Church, 1718 FL-13, Jacksonville, FL 32259 with Visitation one hour prior to service. In lieu of flowers the family has requested all donations go to JCB in the name of Mike Sinno. "Baseball is a game of nexts; the next swing, the next pitch, the next catch, the next throw"
To tell you who Mike Sinno was is a hard task, because he is so much more than a coach, but he was our coach, so this is Mike Sinno through our eyes. The first time I met Mike was 3 years ago. I had volunteered to help coach the JCB Spartans, a 6U AB Team. The head coach told me that another dad had volunteered to help coach as well. Up walks this person and my first thought was, “my God, this is a big 6-year old”. Turns out it was Mike Sinno. Little did I know, this short, stocky man would become such a big part of my life. Mike was known amongst the coaches as “The Godfather” because, no matter the occasion, he would just sit in a chair and wait for you to come to him. There were many times, after a big win, I would look over and there would be a line of parents and kids waiting to talk to Mike. He never got up, he never rushed the conversation, he would just give you his time and then move onto the next. He had this aura about him that even the kids could see. We were always amazed at how we could get after the kids during practices and games and they would just ignore us- we chalked it up to them being 8 years old, however, when coach Mike spoke, the kids listened. Mike was trusting. There wasn’t a tournament we went to that Mike felt the need to lock his car. Not only would he leave his car unlocked, but he would often leave his tailgate up to his SUV with his wallet, cash, and keys laying in the center console. Mike loved to play jokes on his fellow coaches. 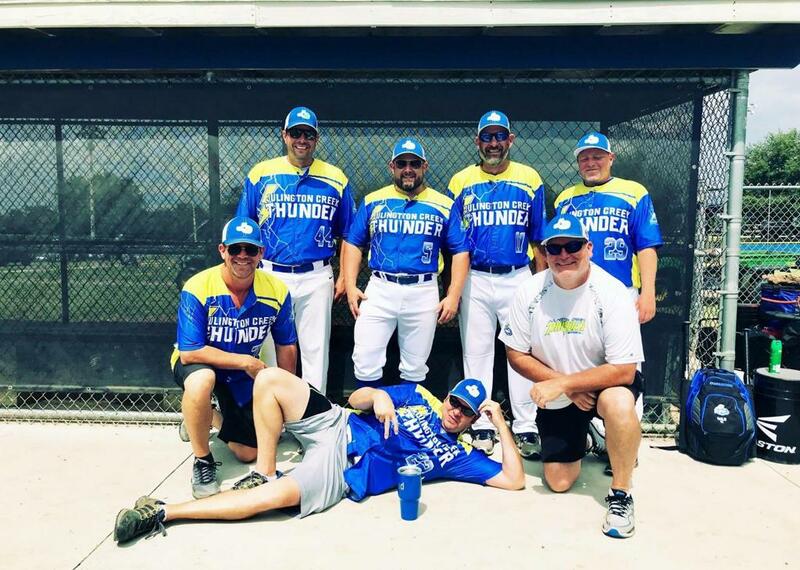 We went to Oviedo for a Winter tournament and Mike convinced 2 of his coaches that it was mandatory for the coaches to wear baseball pants during the tournament. As Mike and I arrived, Shawn Durden and Brad Raulerson were there in the parking lot in full uniform. As they began yelling at us, Mike’s response was, “I can’t believe you actually wore pants”. Mike was a confident coach. He firmly believed our team could win any game we played. There would be times we would watch older teams play and as they are turning double plays, Mike would look at me and say, “we could beat this team”. I would just look at him and think, yeah, sure Mike. The next week, guess who we were playing. He was passionate about coaching “his” boys. To Mike, they were all his boys. Last month we were in Orlando playing in a Nations Tournament. The boys had played well, locking up the #2 seed, however, weren’t playing well in the bracket play. Mike called a time out and ripped into the boys. He told them no one was just going to give them the championship, they would have to take it. After the game a massive rain storm came through cancelling the rest of the tournament and since we were the most impressive team so far, they just gave us the championship. So, here comes Mike walking back to the parking lot with this massive trophy and he says’ “hell of a speech I gave earlier, but apparently they will just give you the championship”. To Mike, baseball was always a game of “nexts”. He would tell the boys on to the next play, next at bat, next game. Well coach, it’s your turn, onto your next adventure. There won’t be a single play, single at bat, or a single game you aren’t with us. We love you. ©2019 Julington Creek Baseball Association / SportsEngine. All Rights Reserved.